At Southeast Foundation Repair, we recommend the SealBoss Concrete Crack Repair System for repairing concrete cracks in both commercial and residential structures. Crack injection has been in use for many years, and it has proven to be effective for cracks between 0.001" and 2" wide, as well as cracks appearing in floors and ceilings. 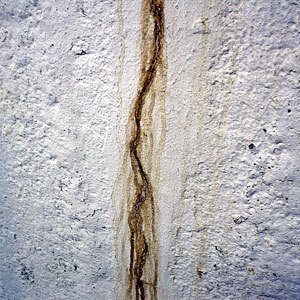 In many cases, injecting the crack with a commercial grade epoxy or a polyurethane foam will solve the problem. These installations are fast, uninvasive, and a cost-effective alternative to other methods. We offer free crack repair quotes for residents. Commercial inquiries should also contact us today for services offered, technical information, and pricing. Our service area includes Southeastern North Carolina, including Greater Wilmington and Fayetteville, NC. Cracks in concrete are created in several ways, including thermal movement, expansive soils, and through the natural curing process of the concrete. 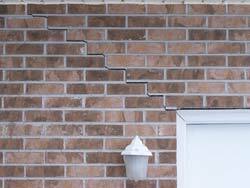 As time progresses, these cracks will grow in size, leading to water leakage and potential structural damage to your home. Polyurethane seals are a flexible sealant that is best applied for nonstructural water-related repairs. This makes polyurethane appropriate for most below-grade repairs, including basements as well as tunnels, parking garages, manholes, and similar structures. Epoxy is an excellent solution for structurally related repairs, such as the ones required for stressed structures or deteriorated concrete. For a free residential crack repair quote, call us today!